Illusions of the Dead has finally been released! Illusions of the Dead (IOTD) is an Amnesia: The Dark Descent custom story that has been released August 21st 2017. Story: You play as Marcus Grant who has a daughter named Emily but she has a disease called Sclerosis. There is no cure available but deep in the dungeons of the castle of Barnard, scientists were working on the cure but they got overrun by the undead a few days after the first test of the medicine. Marcus takes the risk and travels to the castle of Barnard in search of the medicine to safe his daughter Emily. But little does he know why the whole castle got evacuated 2 years ago... IOTD uses mostly the old Amnesia elements but used in a different and unique way. Some new entities and/or items were added to tweak the experience a little bit. Amnesia: AMFP entities and static objects are being used! If you have any suggestions or questions, please be sure to leave a comment! Please let me know what you think! The full release version of Amnesia: Illusions of the Dead v2. If you ever get stuck, be sure to check out the walkthrough video! 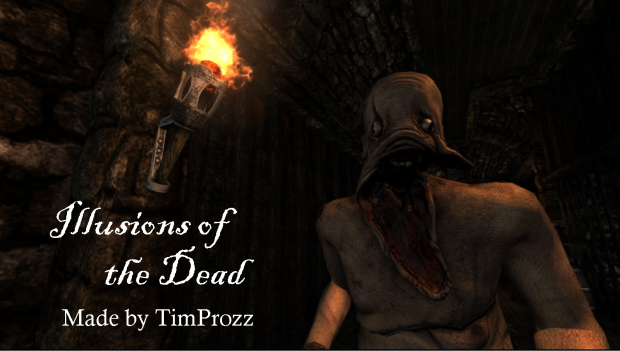 This is the full release of my new Amnesia custom story called Illusions of the Dead (IotD). This custom story is Amnesia version 1.2 compatible. Amnesia Justine patch is REQUIRED! 2. Unpack the "Illusions_of_the_Dead_Full_Release_v2.rar" file and place the folder in your "custom_stories" folder. 3. Open Amnesia and go to Custom Story. It should be there in the list. Please be sure to leave a rating after you've played it!